View More In Sharps Containers - Page 4. The sharp Safety non-infectious waste container is designed to reduce injuries and disposal costs for non-contaminated sharps. The containers are manufactured with recycled Material and are uniquely colored to easily distinguish proper waster segregation of non-infectious sharps. 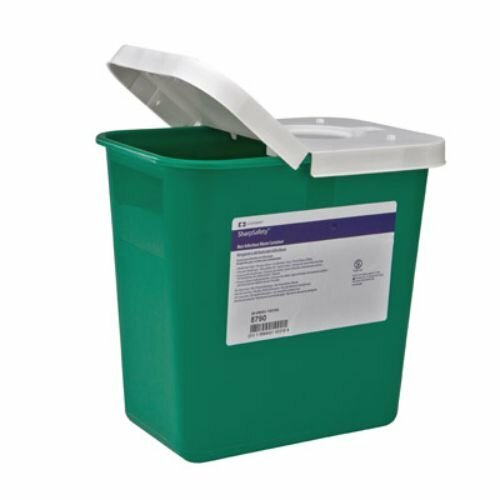 The sharp Safety containers will provide a safer disposal of products such as light bulbs, broken slides or petrie dishes, glass Lab bottles, and anything else that can cause a percutaneous tear but is not infected with blood borne pathogens.